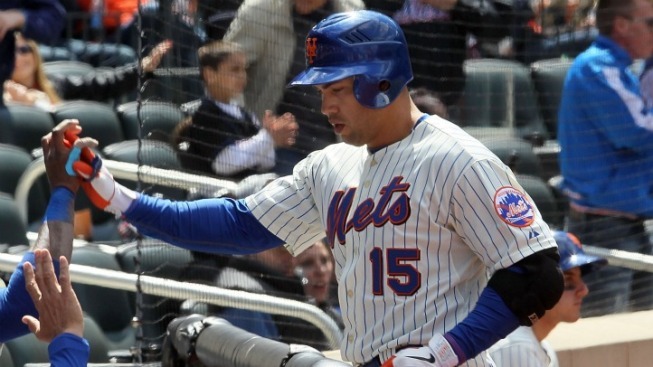 Beltran remains hot, leads Mets to 5-2 win over Giants. The comeback kid rides again. The hardest part of this Mets season has been the way things have gone their way without positively impacting their record. Carlos Beltran is a perfect example of that. His last two seasons were a blur of injuries, fan hostility and middling productivity that added up to making him feel like a piece of excess baggage entering a year that was about making a clean break from the painful past. Beltran has definitely become a part of that pain over the years. He had a bad first year in Queens and that helped keep anyone from warming to him as he turned in a monster 2006 and very good 2007 and 2008 seasons. Maybe the final chapter will finally be the thing that endears him to the masses. He hit his fifth home run of the season on Thursday afternoon to lead the Mets offensively in their sweep-avoiding 5-2 win over the Giants. That continues a torrid streak that's lifted Beltran to a 151 OPS+, a better figure than any he's ever compiled over a full season. Almost as good as the hot bat has been the fact that Beltran's knees have allowed him to swing it on a daily basis. He's started each of the last 19 games and been the driving force of the team's offense over that period. That means the move to right field has paid off and it means Beltran may be in play for a deal in the next couple of months. The size of the contract is still a bit problematic in that regard, but a guy producing like that at the plate is going to get some nibbles from teams looking to bolster their offense for the stretch run. And therein lies the problem for the Mets. It is the first week of May, Beltran is turning in a splendid season and you're already thinking about cashing in on it with a trade. Jose Reyes, another big question mark coming into the year, has also been great and had his own spin in that chair earlier this week. It is terribly early to be thinking about these kinds of trades, but when big years from players like this mean nothing in the standings, how can you avoid it? You can't, but at least enjoy the return of one prodigal son while it lasts.